My family did several different Thanksgiving dinners this year, due to work/travel schedules and locations. 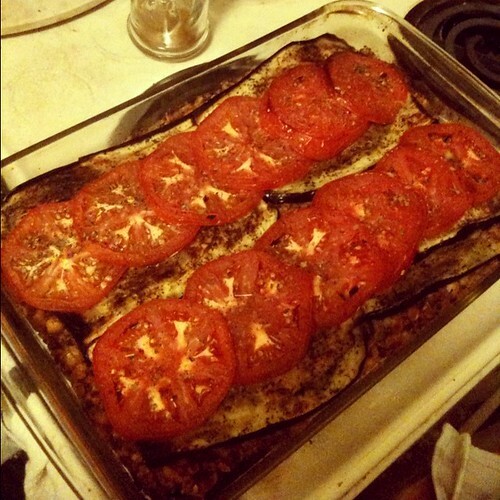 One of these was an entirely vegetarian Thanksgiving dinner (!!!) because my cousin, whose family hosted the dinner, is a newly-converted vegetarian. As I expected, the ingredients are pretty much sugar, sugar, and more sugar. With a few pecans on top. Definitely the least healthy thing I ate all weekend. 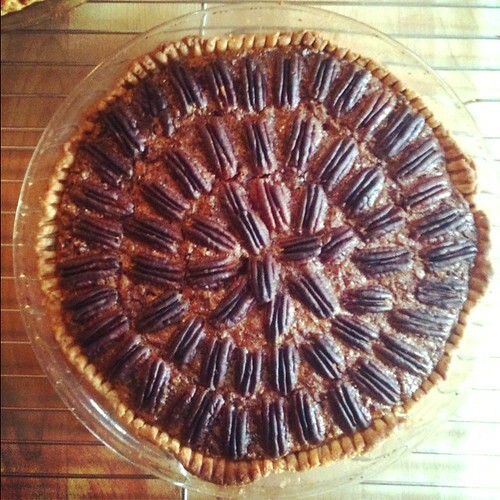 wow, the pecan pie looks amazing! Was it difficult to make? My holiday was quiet. Went to dinner at Ovelia on Wed night and was surprised that place was hopping even the dy before Thanksgiving!